Cute card for the new parents. 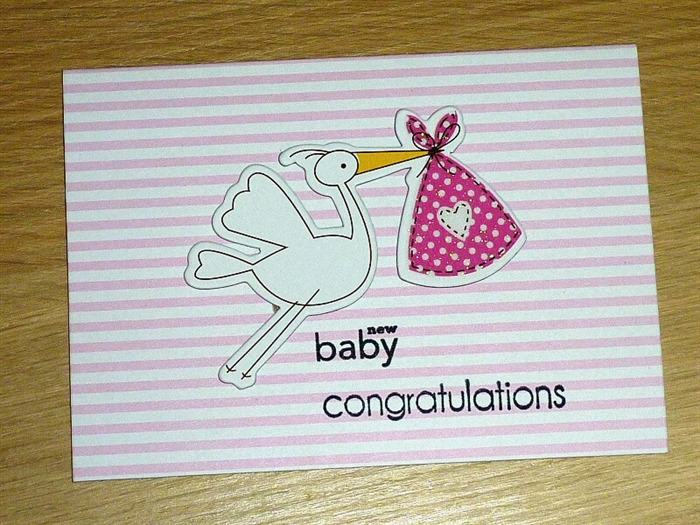 Features pink and white striped printed card with a stork carrying a pink bundle of joy! All hand cut and created - thanks for looking!